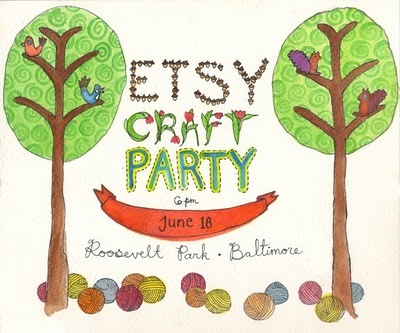 Bring your craft supplies, Picnic Basket & blanket and come craft en mass with a crowd of other Baltimore crafters to celebrate the birthday of Etsy.com! Help us make a big banner to show Baltimore’s Crafty Pride! I see watermelon in my future… hope to see you there!